Chelsea Nickel Plated Solid Brass Handmade Pillar Lantern with Clear Glass Panels. 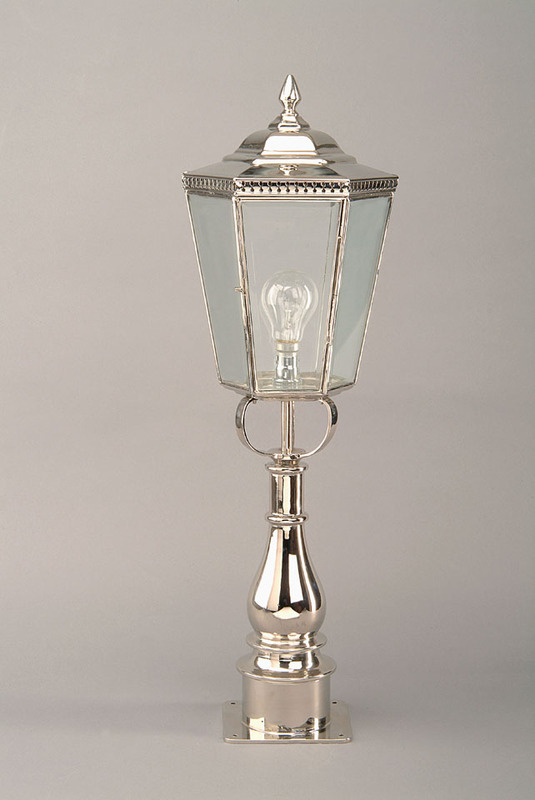 A hand-made solid brass pillar lanter, hand-finished in polished nickel. 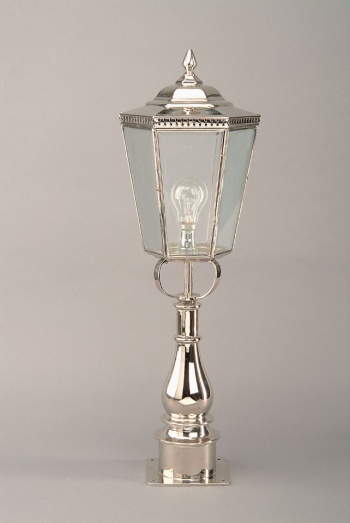 This traditional outside light is complete with clear glass panels.